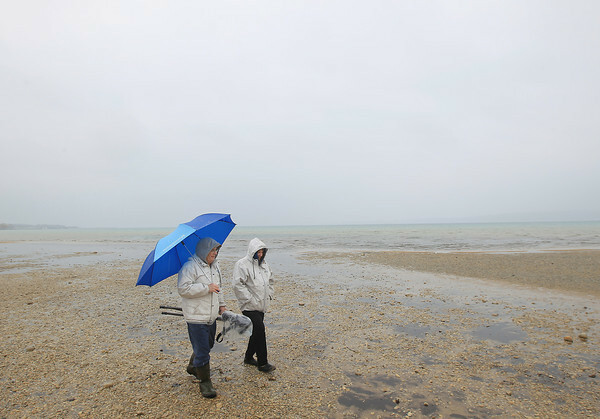 Terry Clark, left, and his wife Jody Clark, of Traverse City, walk toward their vehicle Monday, April 8, 2013 after they took photographs along West Grand Traverse Bay. "Rain doesn't stop us," Terry said. "It gets us out as much as it does otherwise," he said.